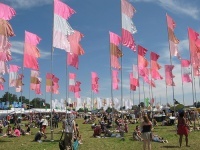 The 'World of Music and Dance' (WOMAD) Festival first began in 1982, and brings together artists from all over the globe. It also hosts participatory workshops, special events for children and educational programmes. Since the first WOMAD festival more than 160 festivals have been held in 27 countries, bringing a worldwide audience of over one million people across the globe together in celebration of the art forms of music and dance. The festival is atmospheric and creative, attracting artistic and open-minded people keen to celebrate music of many genres and from many cultures. For details on programmes and tickets check out the official website listed below.